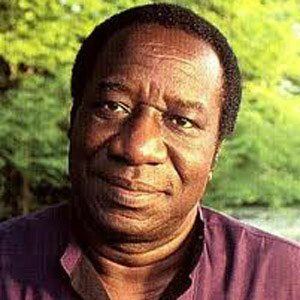 Influential African singer and songwriter who became the leader of Orchestre Afrisa International. He wrote his first song when he was fourteen years old and joined a band after graduating high school. He contributed to the album Gombo Salsa by Africando in 1996. He is the father of the well known French rapper Youssoupha. He is a popular musician like Bob Marley.